The CICA Health Insurance Company of America review is of the Citizens Insurance Company of America. The Citizens Insurance Company of America is a member of the Hanover Insurance Group. The Citizens Insurance Company of America has received an A (Excellent) rating from the A. M. Best Company. Begin your search for the best health insurance rates in your area today with our free online tool. To begin your customized search, enter your zip code in the box above now! 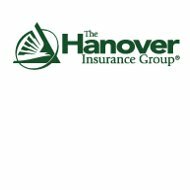 The Hanover Insurance Group began in 1852 as a fire insurance company. By 1915, the Hanover Insurance Group had expanded into marine insurance and car insurance. The Hanover Insurance Group was doing so well as a company that it even prospered during the Great Depression. The period following World War II issued in many new business opportunities for the Hanover Insurance Group. Throughout the remainder of the 20th Century, the Hanover Insurance Group continued to grow. One of the ways the Hanover Insurance Group expanded the most was in 1969 when the company started working with the State Mutual Life Insurance Company. The partnership significantly expanded the Hanover Insurance Group’s product lines and other business departments. In 1995, the State Mutual Life Insurance Company changed its name to the Allmerica Financial Corporation as well as became a public company. The partnership between the Hanover Insurance Group and the Allmerica Financial Corporation continued to strengthen both companies into the new millennium. The two companies eventually merged and became the Hanover Insurance Group. The Citizens Insurance Company of America not only received an A rating from the A. M. Best Company, but also high ratings from other respected ratings providers. Standard and Poor’s gave the company an A- rating and Fitch gave the company an A rating. The fellow subsidiaries of the Citizens Insurance Company of America also received high ratings. The Hanover Insurance Company, the Nova Casualty Company, the AIX Specialty Insurance Company, the Verlan Fire Insurance Company, and the Professionals Direct Insurance Company have all received an A rating from the A. M. Best Company. The Citizens Insurance Company of America offers many types of business and personal insurance. The types of personal insurance offered are home insurance, car insurance, motor home insurance, classic and antique car insurance, trailer and camper insurance, snowmobile insurance, all terrain vehicle insurance, dune buggy insurance, golf cart insurance, umbrella insurance, identity insurance, and valuables insurance. The Citizens Insurance Company of America valuables insurance plan offers blanket limits between $20,000 and $50,000 for items like jewelry, furs, silverware, fine arts, cameras, musical instruments, firearms, computer equipment, golfers’ equipment, china, and crystal. The car insurance policy options offered by the company include liability coverage, comprehensive coverage, collision coverage, roadside assistance, medical payments coverage, personal injury protection coverage, also known as no fault insurance, and other optional coverages like towing and labor and rental car coverage. The Citizen Insurance Company of America offers four different home insurance plans. These four home insurance plans are the basic plan, the select plan, the select plus plan, and the select premium plan. The select premium plan includes the benefits of all of the other home insurance plans combined. With this extensive home insurance plan the deductible is waived when the home losses exceed $50,000, an increased coverage of up to $25,000 for water and sump overflow problems, specialized personal property coverages, reimbursement for food costs when food in refrigerators and freezers is spoiled due to power outage, and lock replacement when house keys are stolen. The Citizen Insurance Company of America does not offer health insurance at this time. To compare health insurance rates now just type in your ZIP!